Complete Design & Engineering Solutions For Wood Structures ALL SPAN BUILDING SYSTEMS LTD.
All Span Building Systems Ltd. was founded in 1980 in Calgary, Alberta and has evolved to become one of Western Canada’s largest wood component manufacturers. 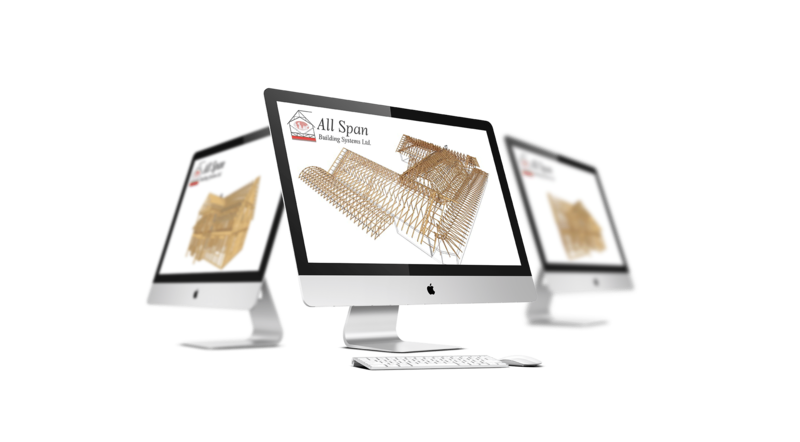 All Span Building Systems prides itself in being an industry leader providing clients with quality components which include computer designed trusses, engineered wood floor systems, engineered wood and steel beams, conventional panelized walls, and pre-fabricated stairs. Our Home Office ALL SPAN BUILDING SYSTEMS LTD.
All Span Building Systems continues to redefine industry standards by establishing and maintaining the most stringent Quality Control Program in use in the industry. This commitment ensures that our clients will receive the highest quality components available in the market. All Span Building Systems’ success lies with the most innovative and dedicated staff in the industry. This group of professionals enables All Span Building Systems to provide key service support in engineering, installation, logistics, and on-site consultation.